What Makes A Lenormand Deck Traditional? 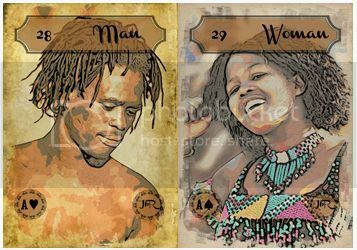 Man and Woman cards from the BYO Lenormand by Rootweaver. If you hang around Lenormand discussion groups, you’ve seen the schism. There’s Lenormand readers who insist on decks that follow tradition, and some people who are primarily deck creators, who take distorting the deck to the wall and insist that tradition should be scrapped.